IMPORTANT: make sure to order enough panels to cover your wall or surface (size options below). 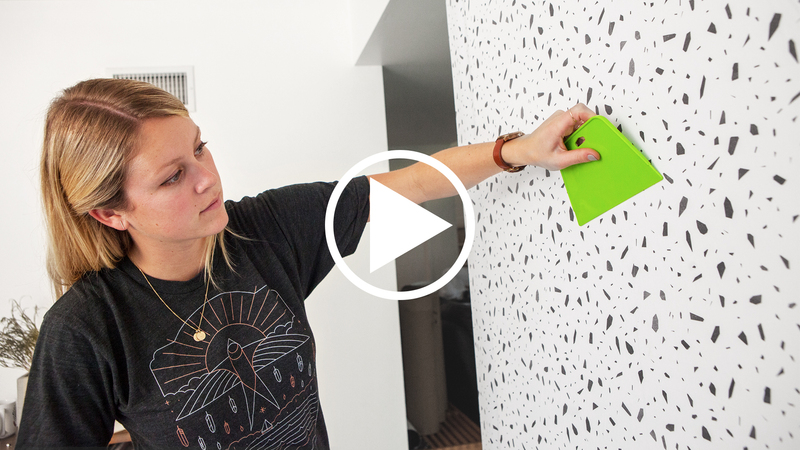 Our peel and stick Wallpaper is easy to apply and take off, leaving no adhesive residue. Featuring sharp, vibrant images, Wallpaper patterns are ideal for accent walls, flat surfaces and temporary installations (like parties!). Available in three floor-to-ceiling sizes. Here’s what you’ll need beforehand (not included with your purchase): tape measure, smoothing tool, razor or utility blade, stepladder and a partner. Read the instructions. We include a detailed, step-by-step guide in your packaging tube. Make sure to follow the instructions so your pattern looks perfect - with minimal air pockets and seamless alignment. Watch the video: we’ve made a handy visual guide for you too - just in case you lose your instructions or want to see exactly how each step works.